Tired of the pool? Sick of the beach? Well, look no further than our own neck of the woods for some family fun this week, both inside and out! A local favorite! 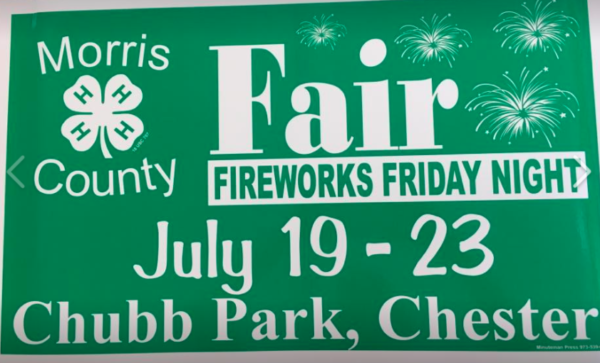 Enjoy the animals, live music, yummy food, rides and so much more! Get up close and personal with the ever popular Mega Model trains, and view antique pre and post war trains from the Museum's collection. Aspiring architects, age 7 and older, are invited to learn about the built environment and the evolution of architectural styles. Kids (with an accompanying adult) will get a walking tour of Morristown's historic district followed by hands-on building challenges and a visit to Macculloch Hall's summer exhibit, From Homestead to Historic House: The Architectural History of Macculloch Hall. Hang out with your family to play some mini-golf, footgolf, grab a bat and check out the batting cages or golf balls, check out the new paintball system and grab a bite to eat at Slamburgerz!